Please specify Mitch Cogdill, if you wish to be contacted by him. 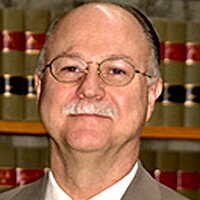 Mitch has been a personal injury lawyer in Everett, Snohomish County, Washington since 1968. He specializes in medical malpractice law, accident cases--including car, truck, and motorcycle accidents. He has been a trial lawyer his entire career. Serving all of Snohomish, King, Skagit, and Island counties, Mitch is a personal injury attorney who handles cases both large and small. Every one of Mitch’s clients receives his personal attention and best efforts. Mitch realizes the legal issues presented by his clients are exceptionally important to them and that to pursue those issues takes availability, dedication, focus, hard work and an ability to listen. He charges no attorney fee unless he recovers compensation for your loss. He is an AV-rated pre-eminent attorney by Martindale & Hubbell, the highest designation of the publication. An AV rating is a testament to the fact that a lawyer’s peers rank him or her at the highest level of professional excellence. He has been designated as a Super Lawyer since Super Lawyer has been published in the Seattle area. He has also been selected as one of the Top 100 Trial Lawyers by the American Trial Lawyers Association and as a Top Lawyer by the Seattle Metropolitan. He continues to seek justice for his clients on a daily basis, whether his client is an unemployed laborer, a grieving spouse or parent, a medical doctor, or a business owner. In addition to personal injury cases, Mitch represents and advises small businesses, professional practice groups, and individuals in litigation, both pursuing and defending their interests. He has developed an expertise over the years representing both labor unions and business entities in labor and employment related matters. He is the senior partner in Cogdill Nichols Rein Wartelle Andrews. Mitch has successfully argued before most trial courts in Western Washington, as well as the Washington State Court of Appeals, the Washington State Supreme Court, the Federal District Court for Western Washington, the Ninth Circuit Court of Appeals, and many state and federal agencies. He has tried hundreds of cases before courts and administrative agencies, recovering millions of dollars for his clients, and saving his clients from millions of dollars in exposure and liabilities over the years. He is a 1965 graduate of the University of Washington, receiving his Bachelor of Arts Degree in Political Science. He graduated from the University of Washington School of Law in 1968, receiving his J.D. In his leisure time, Mitch enjoys being with his wife and twin daughters, as well as traveling, Husky football and basketball, fishing, and bicycling. Many times, a person’s first contact with a lawyer is to seek representation regarding an injury or car accident. Whether a person is being sued or needs to file a suit, a lawyer with years of experience and knowledge is the best option. Contact Mitch’s Office. A car accident lawyer may be needed if a car, truck, or motorcycle accident involves personal injury to any driver, passenger, or bystander. Sometimes people feel that they or a family member has suffered harm from the negligence of a doctor or other medical professional. In this situation, it is time to consult a medical malpractice lawyer to evaluate the case and seek compensation when warranted. A confidential settlement shortly before trial for negligent prescription of Atenolol and failure to inform in the 2nd trimester of pregnancy giving rise to birth injuries. A confidential settlement involving failure to diagnose colon cancer and prescribe a colonoscopy. A confidential settlement to treat an infection involving an injured medical doctor. A confidential settlement involving the use of excess radiation to treat a heart condition leading to significant radiation burns and permanent injuries. A confidential settlement involving a young man with a congenital heart defect who underwent an aortic valve replacement at which time his aorta was mistakenly cut into by the surgeon, causing serious and lifelong neurological injuries. A confidential settlement involving the death of a young man, a twin, incident to failure to diagnose the H1N1 (Swine Flu) virus. A confidential settlement involving the wrong site surgery on a young man’s lumbar spine, resulting in the young man having to undergo further surgery and treatment. A confidential settlement involving the failure to find and repair a small bowel perforation which occurred during a hernia repair surgery, leading to a severe infection. A seven figure settlement after two days of trial involving an E-coli infection. A seven figure result involving highway design against the State of Washington for failure to allow for a left turn lane giving rise to a rear end collision severely and permanently brain damaging a 17 year old girl. A settlement involving a police dog attack on two separate individuals leading to scarring and emotional distress and damages. A policy limits settlement against a landlord for failure to warn an invitee of the dangerous persons and criminal activity conducted by such persons on the premises which led to a young woman's kidnap and murder. A seven figure result against the Department of Corrections incident to representing the family of a victim killed by a mass murderer. Numerous automobile, boating, and premise liability cases resulting in six and seven figure results. The recovery of millions of dollars over retiree's lifetimes incident to an attempted takeaway by a public entity of pension rights and benefits. The successful defense of a property developer concerning the specific performance of a real estate contract involving real estate of several million dollars in value (six day trial). The successful defense of a medical practice group in an employment discrimination case. (four week jury trial). Prosecution and defense of homeowner's associations enforcing view obstruction covenants (trials of four to eight days). Successful enforcement of employment separation agreement against County. (3 week jury trial). Successful resolution for emotional distress damages incident to a home invasion recovering six figures following a four day jury trial. Bad faith action against insurance company. Recovered large six figure sum for emotional distress incident to an insurance company's failure to pay on a fire loss claim. Tried to closing argument and settled a complex employment case involving a professional sports franchise. Successfully defended a public school superintendent who was wrongfully accused of misconduct and dereliction of duty. After a five-day arbitration, the superintendent was found not to have misconducted himself, was reinstated, awarded back pay as well as attorneys’ fees. Unfortunately, the cost to the School District was immense. Numerous unfair labor practice and grievance arbitration cases involving back to work issues, termination issues, and working condition issues.